Ever since the French invented block printing, people have been enamored with wallpaper. Like any design element, the trend has had its ups and downs. Recently, though, wallpaper, wall coverings and murals have surged! Making a huge comeback that started in 2016, we’re seeing more complex patterns, more vibrant colors and more intricate designs utilized in a number of high-profile buildings and residences. Whether they’re floral, animal or artistic prints, wall coverings are gracing halls around the world and, more importantly, they’re looking great while doing it! In today’s post, we’re going to examine a couple of these emerging trends and discuss how they can be integrated into your home. With the rise of digital printing, fully-printed wall coverings have become much more affordable… and much more vibrant! Whether you want to lend an air of antiquity to your home’s library or you have a particular piece of art in mind for your kitchen, there are a wide range of options available. If your child wants to add a dash of personality to their room, there’s no better way than by using a wall covering. With the number of options available, their room can provide a window into a wild jungle, the depths of space or a lively carnival. The beauty of wallpaper is that it can work with your home’s current design. Whether you’re looking for a stark, geometric pattern to match your midcentury modern décor or you need a faint, floral pattern that suits your classic tastes, Flair Interiors will work with you to discover what works best for your home. 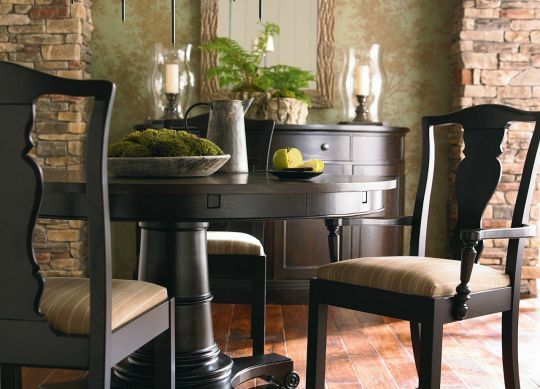 At Flair Interiors, we’ve been helping home and business owners in Southwest Michigan since 1985. Our skilled, experienced designers have the resources, tools and knowledge necessary to transform your home into the sanctuary that it deserves to be. If you’ve been considering making some changes, contact us today to discuss how we can help!